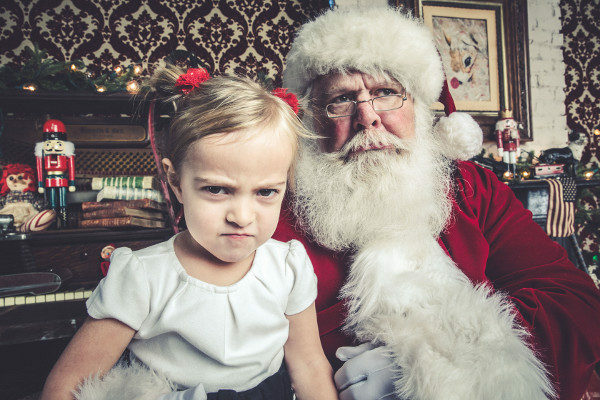 It’s that time of year again, when we carefully select and prepare our child’s outfit for the annual Santa photo. 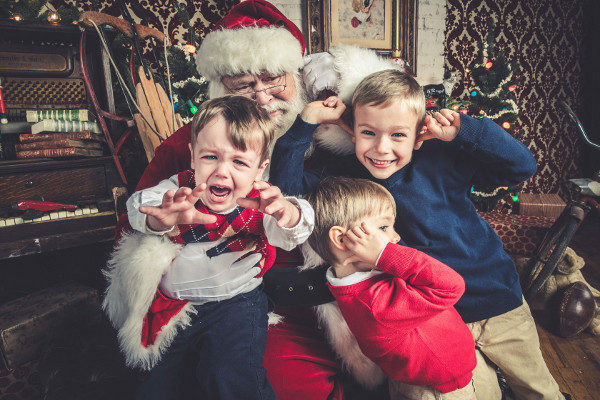 Whether we join the shopping centre lines or arrange a studio sitting with good old St Nick, there is never any guarantee we will get the Christmas card picture we imagined. 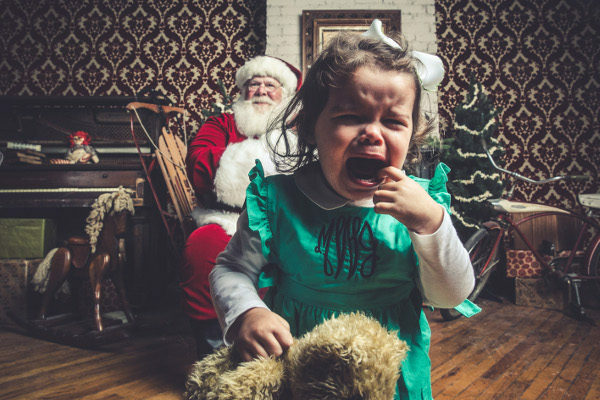 But, one US photographer is encouraging us to see the funny side of the not-so-happy Santa snap. 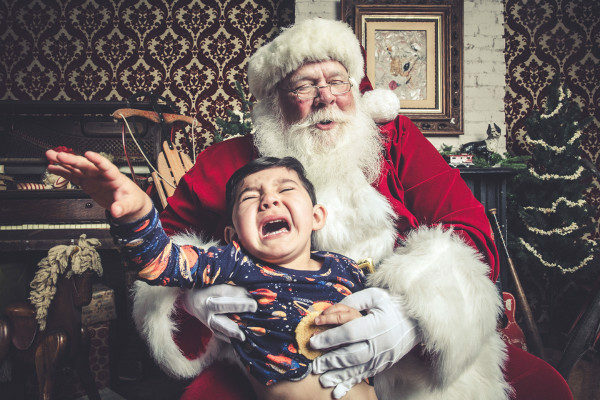 Jeff Roffman and his studio team have shared a hilarious collection of Santa photos on Facebook in an album cheekily titled Naughty List. 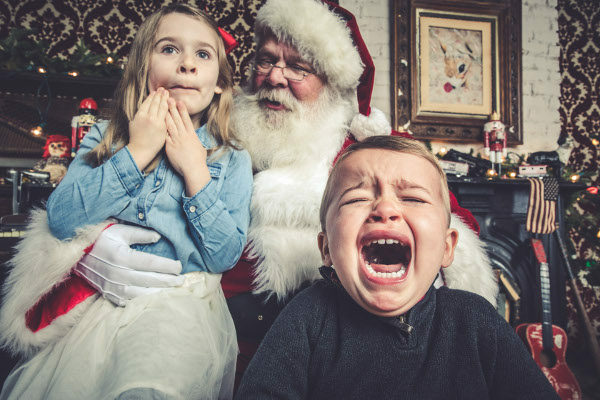 Frame by frame, there are photos of girls and boys who are not so keen to meet the jolly man in red. Some children sit and scream, some reach for mum and dad and others make a run for it. 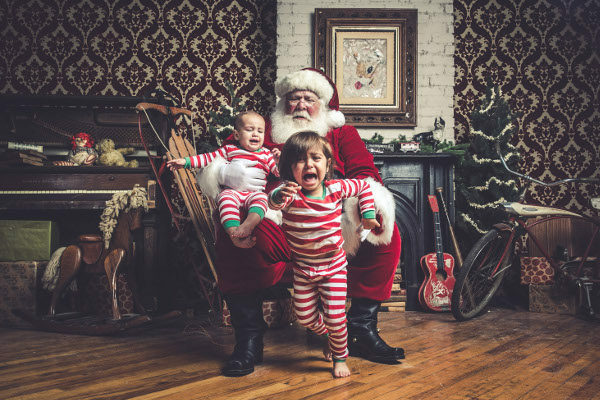 Jeff tells Babyology that photographing unpredictable and sometimes uncooperative children is all in a day’s work. “It’s definitely not rocket science. 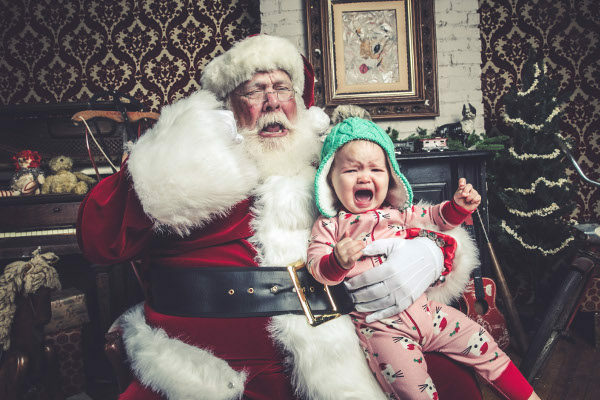 Kids are kids and that’s what we love about them,” he says. 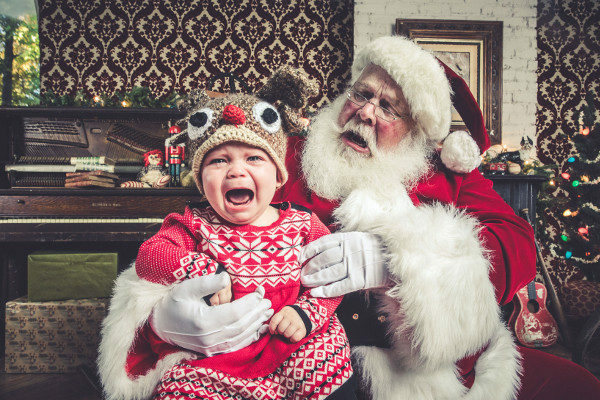 Aside from the gloriously adorable children, there is a shining star helping to bring out each photo’s funny side – Santa himself. We love Santa Gary!” Jeff says. 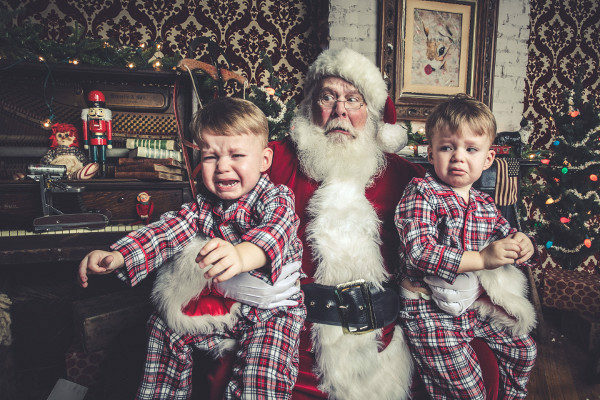 Jeff shares his secret to turning each photo into a special keepsake for families. “I think the secret is not taking these photos too seriously. And, knowing the age of a child is important to help predict how he or she will behave,” Jeff says. 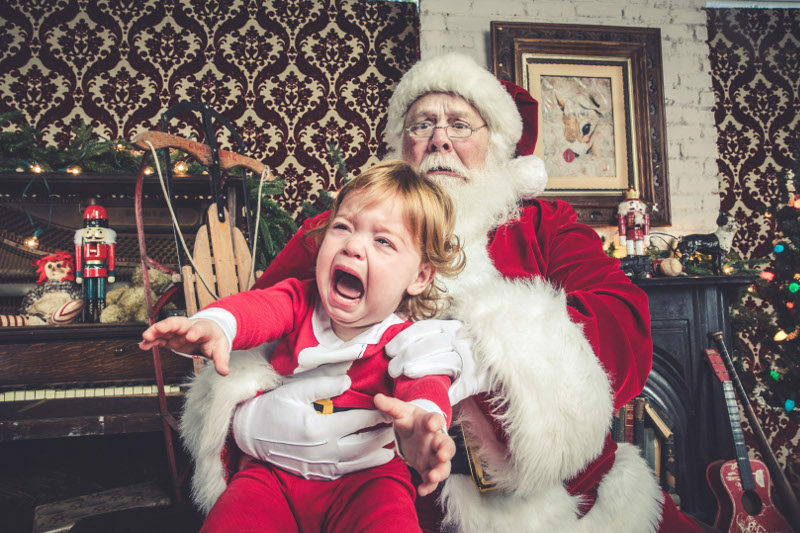 Jeff says that despite the tantrums and tears, he doesn’t find the Santa photos to be a hard task. 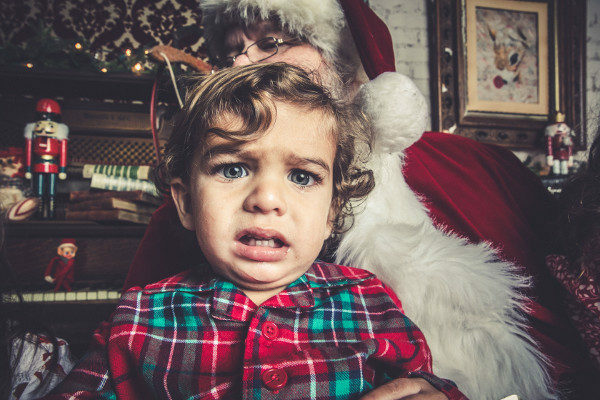 “Oddly, I don’t think it’s difficult at all to capture a good portrait when the child is not into Santa,” Jeff says. 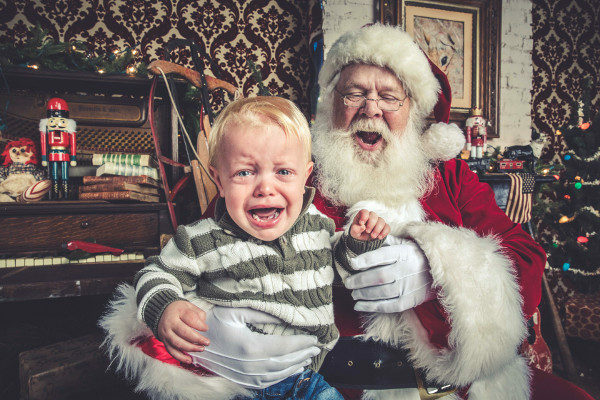 Often parents who spent a great deal of time preparing for the holiday snap can be disappointed on the day. But Jeff says they usually see the funny side, eventually. 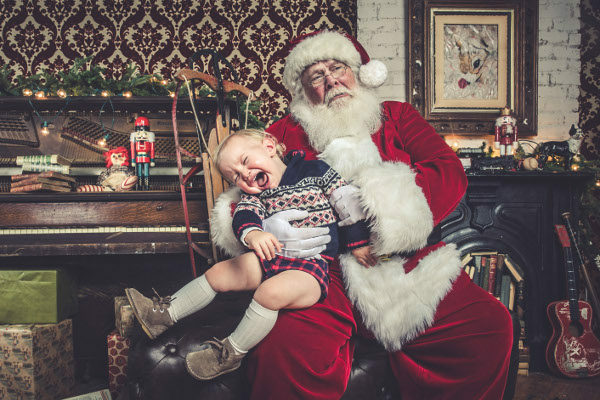 “Some parents do go to great lengths in prepping the kids but there’s only so much you can do,” he says. 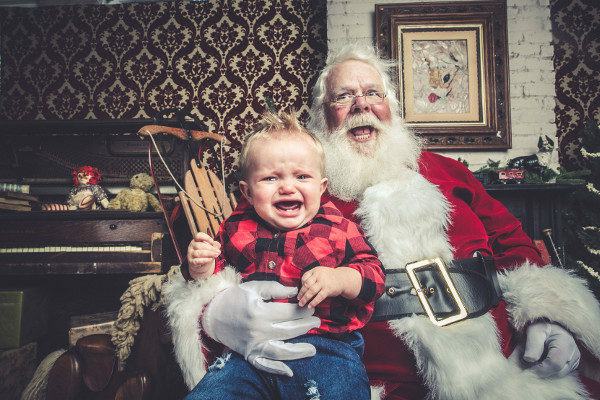 Personally, I have more trouble prying my three-year-old away from Santa’s lap nowadays but I do remember the first time when I was just happy to get his eyes looking at the camera. 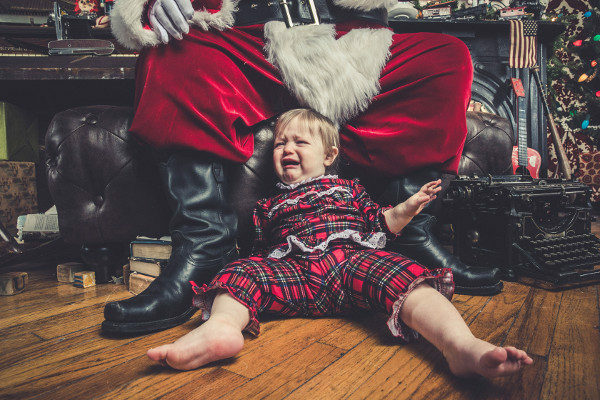 Just like a supermarket tantrum, parents aren’t alone when there little one doesn’t want to sit on Santa’s knee, says Jeff. “Kids are going to be kids – it’s often the parents who need the most counselling – especially when they were prepared for a smile,” Jeff says. 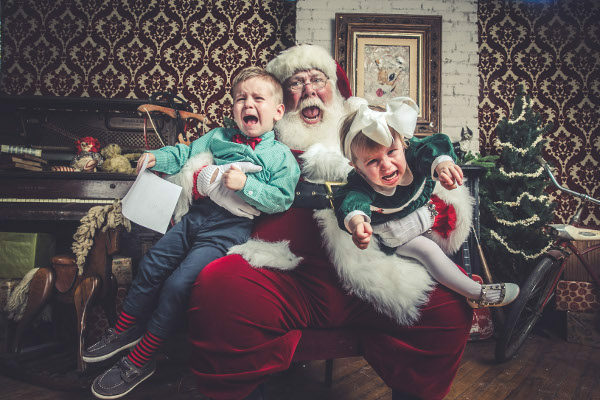 “Letting them know that this happens all the time at this age is quite a relief – and often a comical one after the shoot. 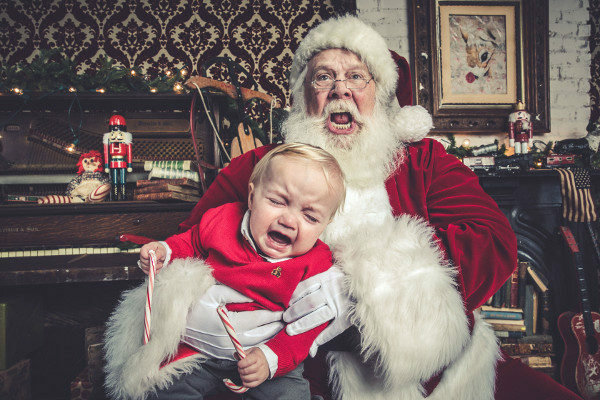 “Watching other parents struggle with their little elves, forms a rather unique camaraderie in the studio among the mums and dads. 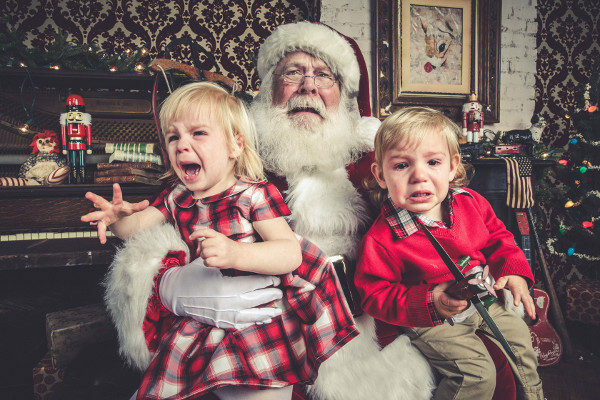 We would love to see your Santa snaps.